On #WorldGorillaDay, we’re remembering the pioneering mountain gorilla studies conducted by George Schaller in 1959 and 1960. Sponsored by WCS, Schaller and John Emlen surveyed gorilla populations in Uganda and what was then the Belgian Congo. Their studies helped to establish population data that continues to guide conservationists today. Schaller also conducted further field research into the behavior and ecology of mountain gorillas. Approaching them with “empathy and respect,” as he has written, he spent several months making unprecedented observations of gorillas. His groundbreaking work dispelled then-popular notions of gorillas as ferocious beasts, and helped to promote an understanding of the gorilla as shy, gentle, and vulnerable. Image: Gorilla distribution map from Emlen, J. T. and G. B. Schaller. 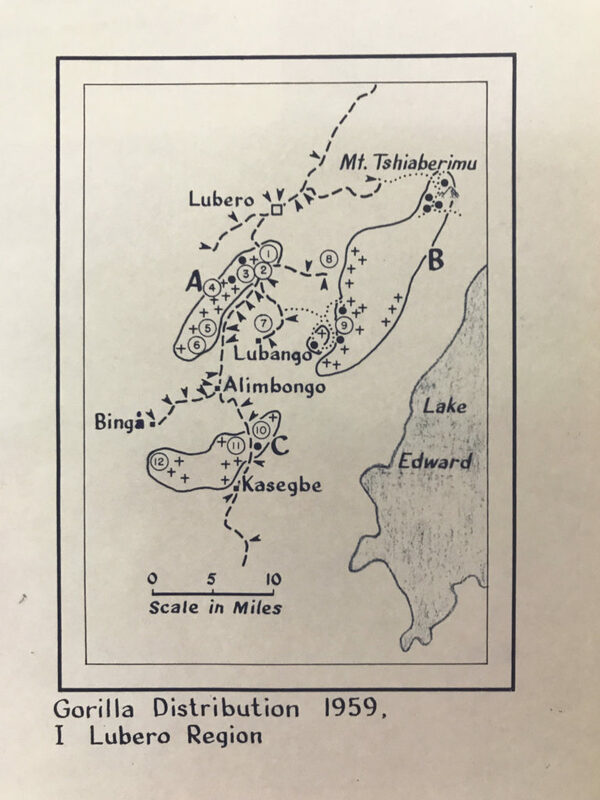 Distribution and status of the mountain gorilla (Gorilla gorilla beringei)—1959. Zoologica 45.5 (1960). Happy International Vulture Awareness Day! This beauty was illustrated by an unidentified artist working for the Department of Tropical Research during their ecological expeditions in British Guiana in 1916. Anyone recognize the species? 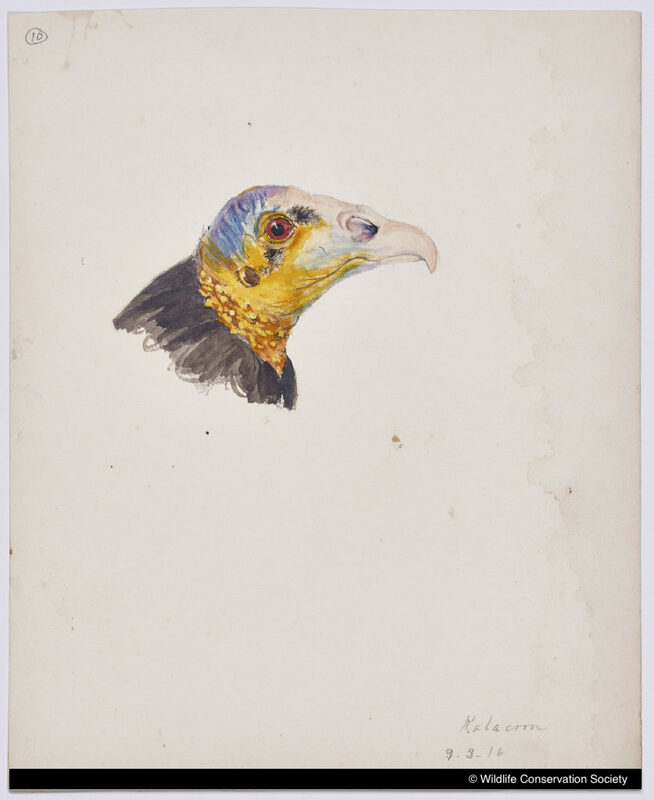 We’re thinking yellow-headed vulture, which William Beebe described in some of his early writing. 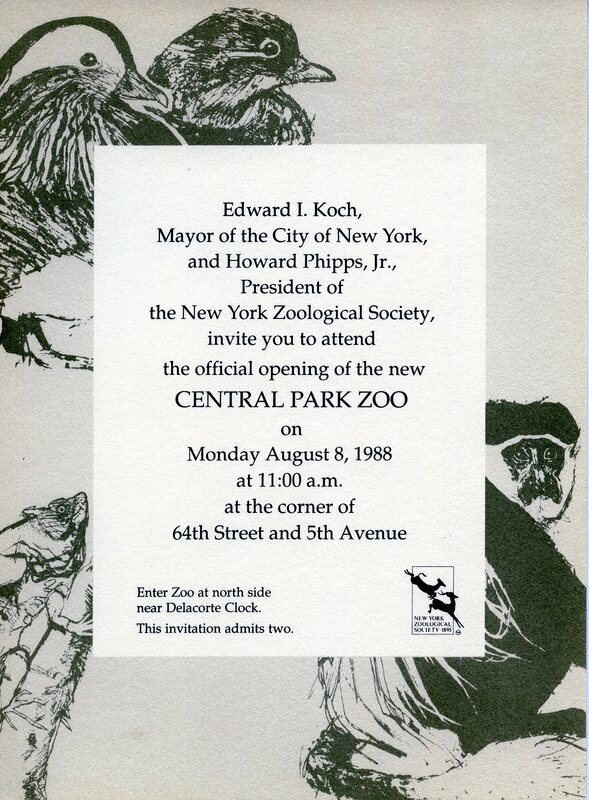 Today marks the 30th anniversary of the Central Park Zoo’s reopening under WCS management. 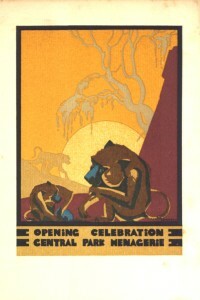 Until 1980, the City Zoos were administered by New York City’s Department of Parks and Recreation. 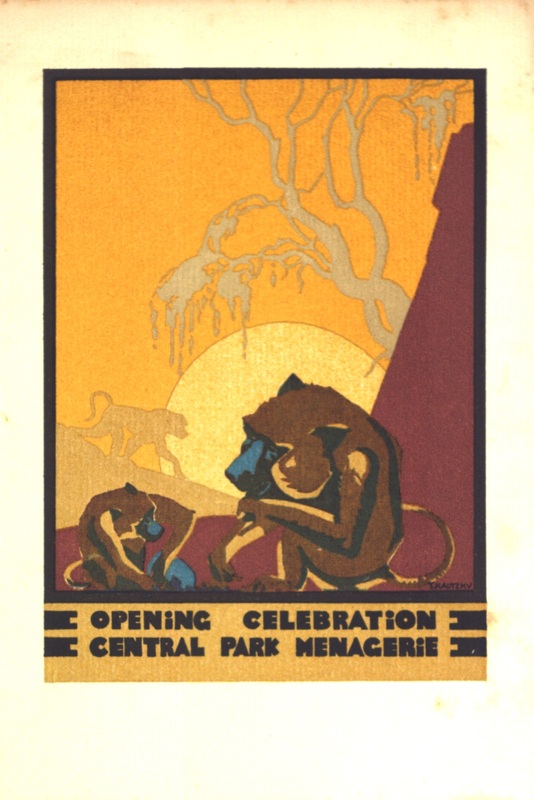 New York City officially chartered the already existing Central Park Menagerie in 1864; in 1934 Robert Moses had it rebuilt as part of his plan to update parks and recreation areas in the city. 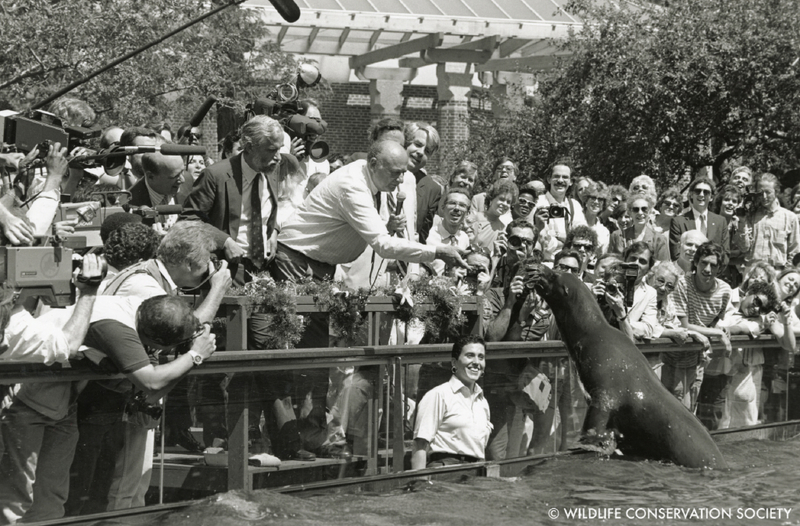 By the mid-1970s, all three City Zoos were in decline; troubles were exacerbated by the New York City budget crisis of the era. In an environment of bad press and lawsuits against the city on the zoos’ behalf, city government and WCS (then known as the New York Zoological Society) engaged in negotiations for the handover of the zoos to the Society. After over a decade of talks, the parties finally reached agreement in 1980, at which point the Society’s City Zoos Project began. 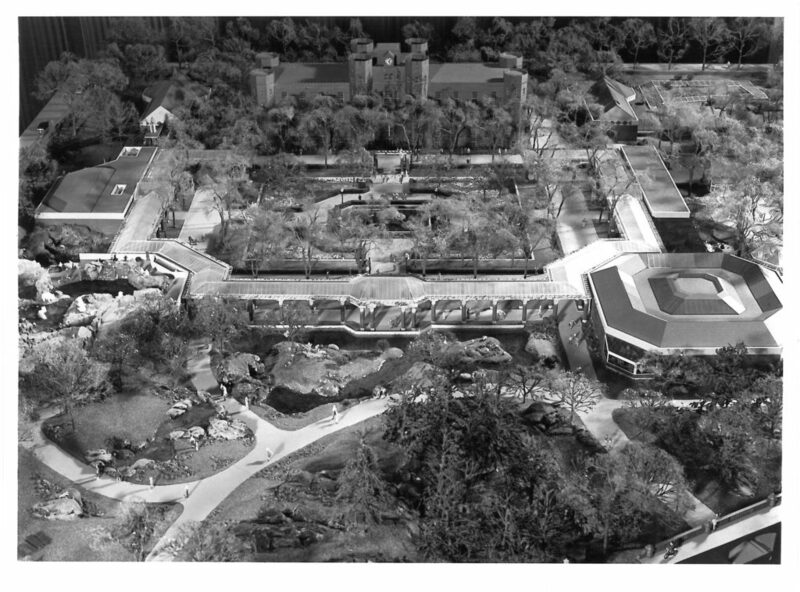 Education Curator Richard L. Lattis was named the project’s director and oversaw the staged shutdown of the three zoos, their redesign, construction, and reopening. 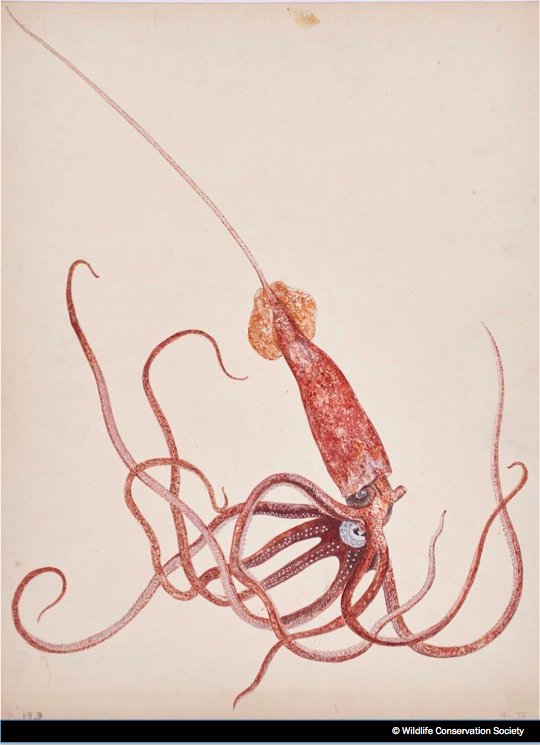 We’re celebrating Cephalopod Week with this squid illustration by Department of Tropical Research staff artist Helen Damrosch Tee-Van, done in 1929 during the DTR’s explorations of marine life around Bermuda. 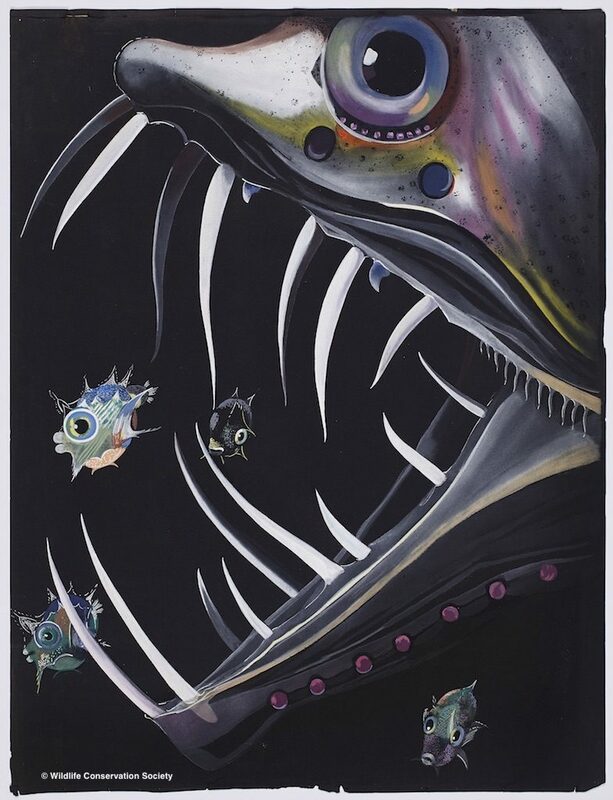 While the DTR identified this as a “long-spined giant squid,” no such animal is known today. Any squid experts out there recognize this species? Q: What does it take to make a squid laugh? 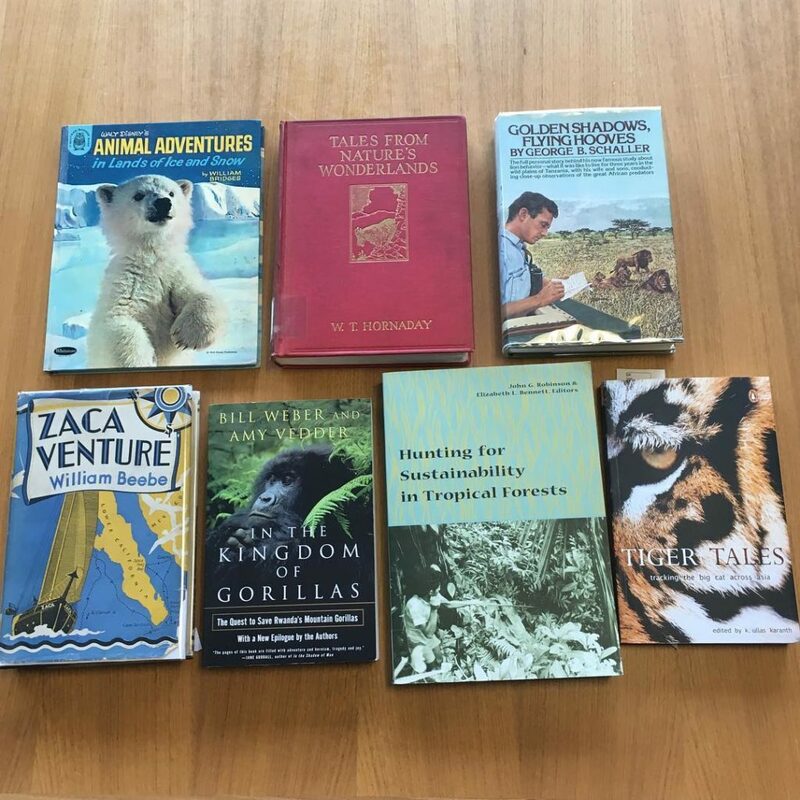 The Wildlife Conservation Society Library and Archives is pleased to announce that we have completed a major project to process 15 significant historical collections from our holdings. 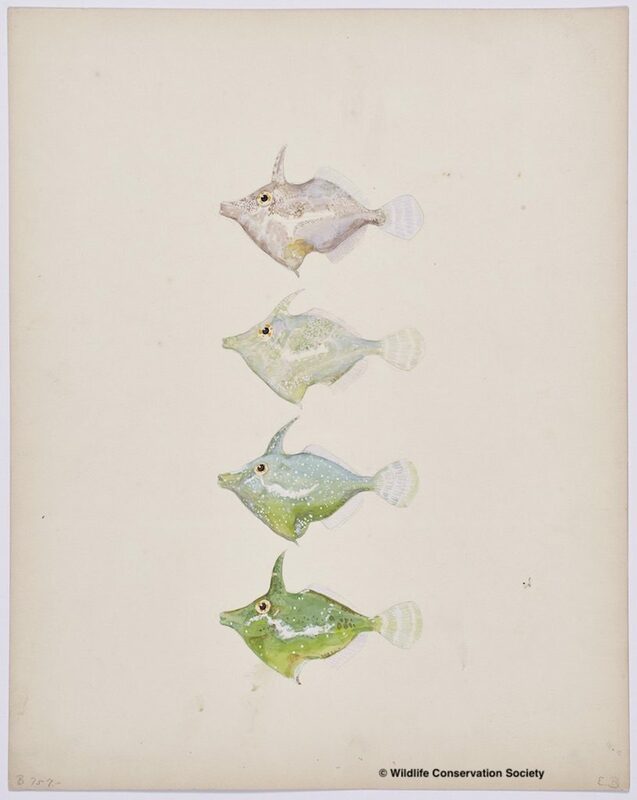 Among these are three collections related to the Department of Tropical Research, a team of scientists and artists who led pioneering ecological expeditions across tropical regions from the 1910s through the 1960s. 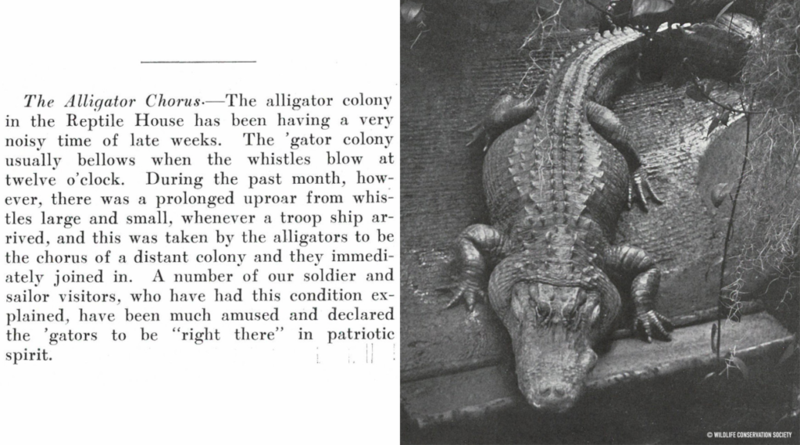 Also included are the records of Fairfield Osborn, former President of the New York Zoological Society (as WCS was previously known) and one of the foremost conservationists of the mid-twentieth century. 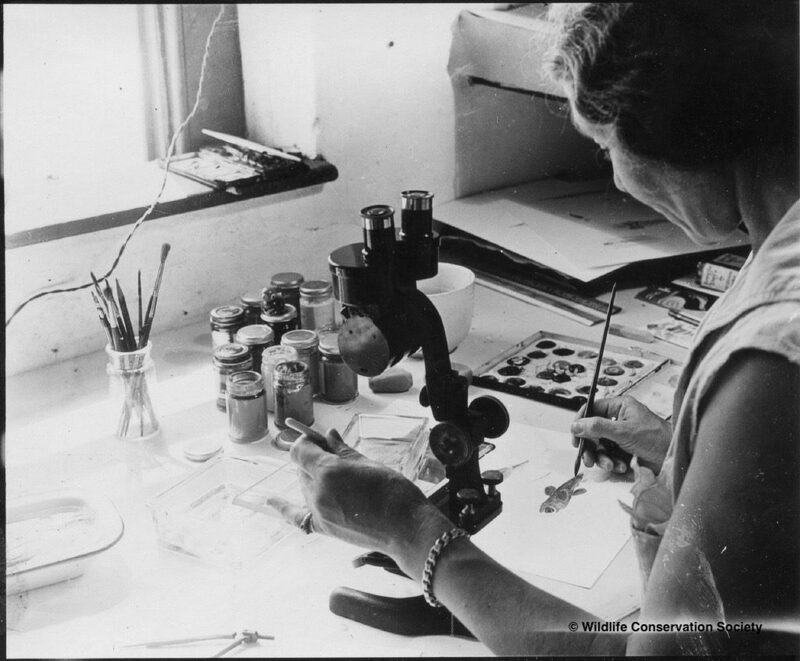 In addition, the newly processed collections hold records created by Bronx Zoo General Curator Lee S. Crandall; Bronx Zoo and New York Aquarium Director James Oliver; NYZS President Robert G. Goelet, Director of Conservation F. Wayne King, and Assistant Secretary Harold C. Palmer; and NYZS’s Ornithology, Education, and Public Affairs Departments. Together these collections cover pivotal events in the history of WCS that also represent important moments and trends in the cultural and scientific histories of New York City, the US, and the world. Finding aids for the collections can be found here. Information about accessing our collections is available here. This project was made possible by funding from the National Archives’ National Historical Publications and Records Commission. The WCS Library and Archives is grateful to NHPRC for their support. Happy Halloween from the WCS Archives! 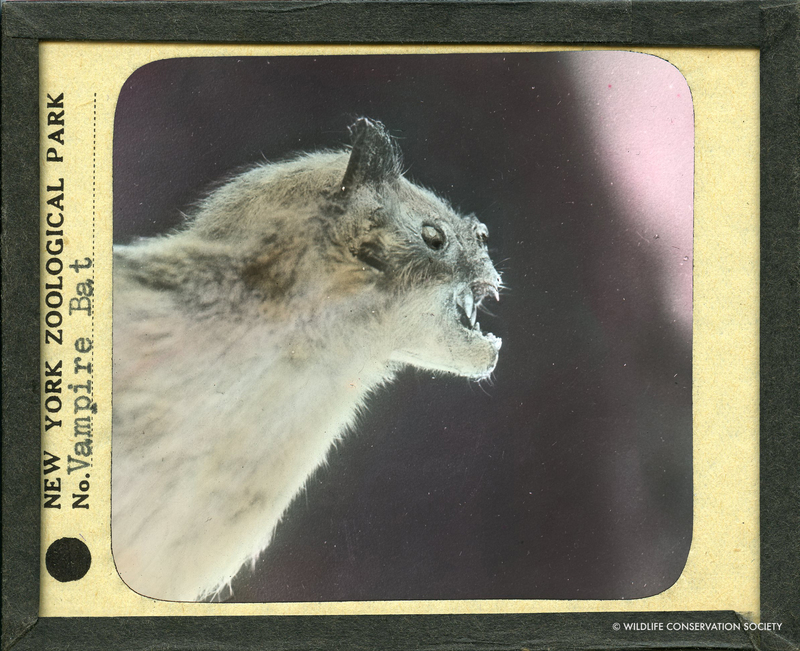 This vampire bat image was likely taken during a 1934 expedition to Trinidad, where the Bronx Zoo’s first Herpetology Curator Raymond Ditmars and his associate Arthur Greenhall studied the elusive species and brought back specimens for the zoo. WCS Archives Accession 2014.121.